A "Dream Start" - that's what it was. Scoot has just taken delivery of its first Boeing 787 and these magnificent machines are a beautiful, smooth and luxurious way to fly. My god, I am hooked! The Boeing 787 is a long range jet airliner with all new design and breakthrough technologies. Boeing states that it is also the company's most fuel-efficient airliner, saving 20-30 per cent of fuel compared to similarly sized planes. That's a huge thumbs up. A smaller carbon footprint makes me feel less guilty for flying! 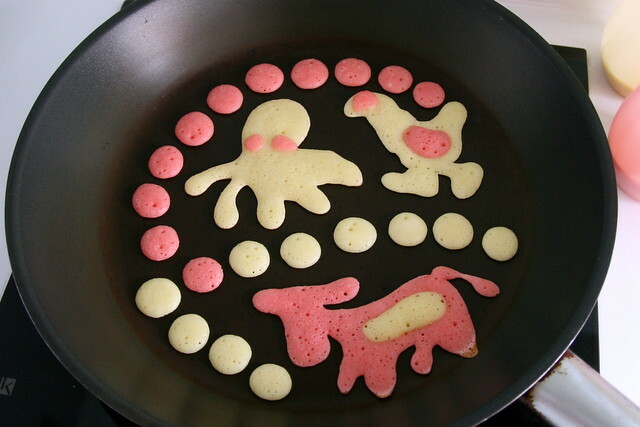 I contributed a fun pancake art recipe three years ago for a HPB site, but the page is no longer there...so I'm bringing it back here on the blog. Have fun being creative this Valentine's Day...or any other day! UPDATE: I did a video demo of this recipe for ToTTtv! 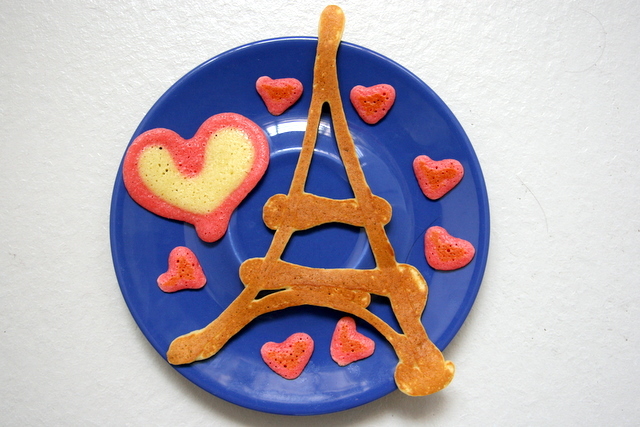 If you're tired of the crass commercialism that surrounds Valentine's Day, and want to express yourself in a simple yet whimsical manner, have a go at quirky pancakes. These are not just cute, but so fun to make. Hopefully your Valentine will be charmed and ask, "How did you do that?" The secret? Squeeze bottles. 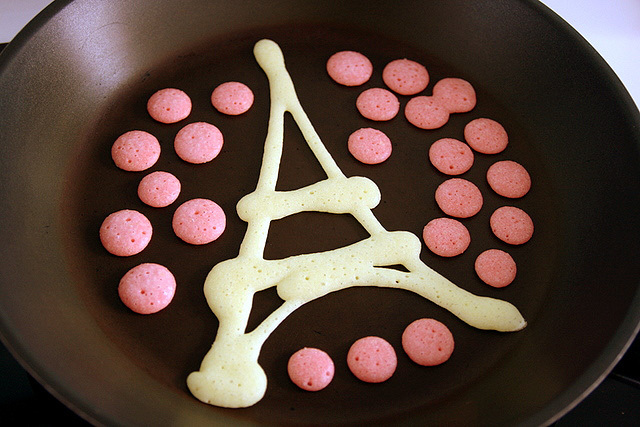 Put the pancake mix in there and doodle away! You can get these easily at dollar stores or supermarkets. They are the same things that chefs use to create sauce dots, squiggles and flourishes to jazz up your plate (and instantly charge a lot more for it too). It's a really cheap but versatile tool. 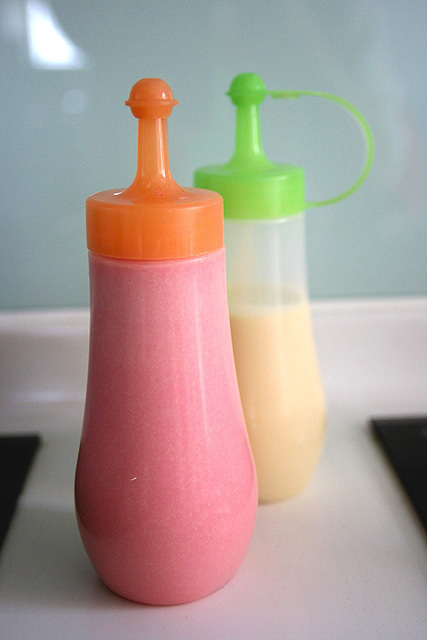 If you don't have squeeze bottles, you can use piping bags or even just a ziplock bag (snip off the tip of a bottom corner). But I think these bottles are still easier to handle. 2. In a separate bowl, beat the egg, milk and butter together. 3. 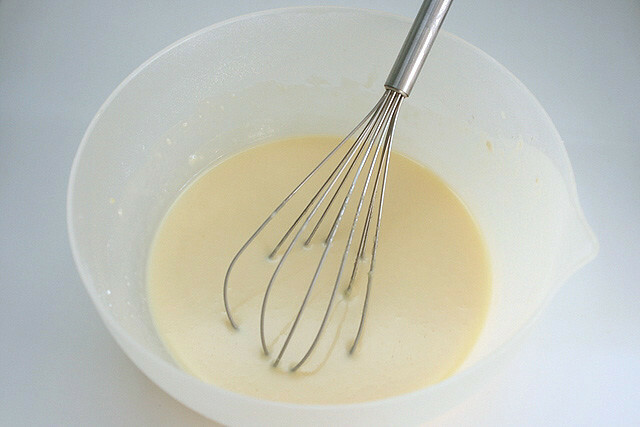 Add the wet ingredients into the dry ingredients, and whisk until the batter is extremely smooth. I used a bowl (from my kitchen weighing machine) with a little spout so that it's easier to pour the mixture into the squeeze bottles. Since I was using two colours, I poured half the mix into one bottle first, before adding a few drops of red food colouring to the remaining batter. Once you're ready, heat up your frying pan (you won't need to put any oil, as the pancake batter is already oily). Remember to keep the pan at medium heat, or your pancakes may brown too quickly. Draw anything your heart desires. The Eiffel Tower I did is like a giant A with slightly concave sides and two bridges plus a bottom arch. 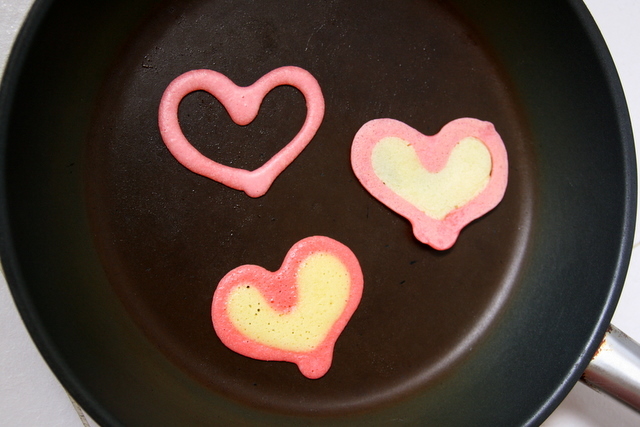 Here I have little pink dots, but if you want to make hearts, just draw a "v" and the batter will naturally spread to form a heart. For bigger two-coloured hearts, you can draw the outline first. And then fill in with the other colour. Of course, you don't have to stop there. You can draw anything your heart desires! Flowers, animals, Hello Kitty, letters, numbers, shapes, even entire messages! This is me having fun with my leftover batter. Obviously my drawing skills have some ways to go, but this is just too fun not to try. I hope you'll enjoy doing this as much as I did too. I have to thank Jim's Pancakes (http://www.jimspancakes.com/) for inspiring this idea. Visit his site to see all the creative things he's done with pancakes, including a Millennium Falcon! His book "OMG Pancakes" is available at the libraries. 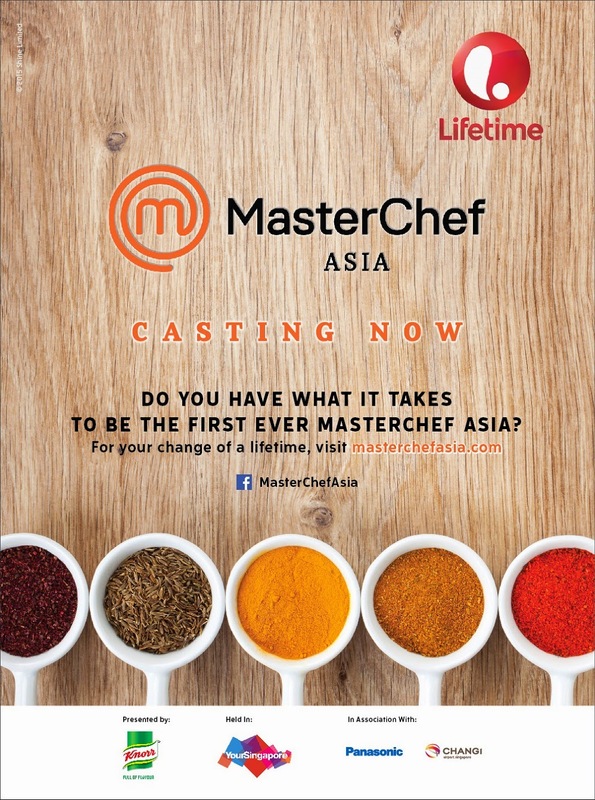 Will You Be The First MasterChef Asia? The Search Is On! We are finally going to have our own MasterChef Asia! 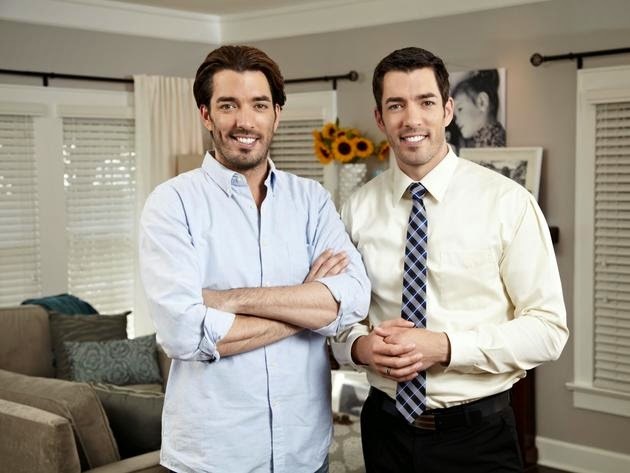 The show will debut on Lifetime (StarHub TV Ch 514) later this year. They are now scouring Asia for talented amateur cooks to appear on the show. All aspiring chefs can submit their audition videos on MasterChefAsia.com. You have til 5 March 2015 to do so. 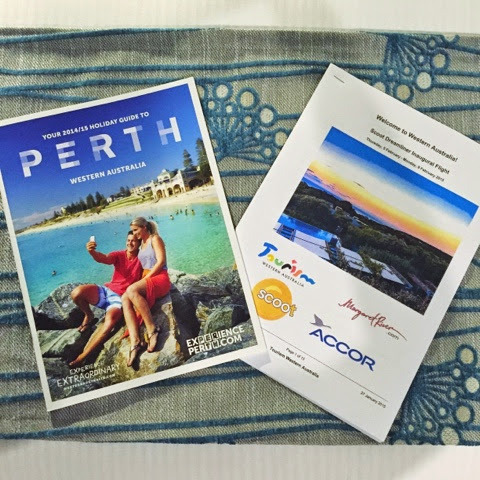 Do you know someone who could be the next MasterChef? Some of my friends are diehard karaoke fans, and they love to eat too. For them, a perfect night out is somewhere they can sing their hearts out, and eat to their stomach's content. 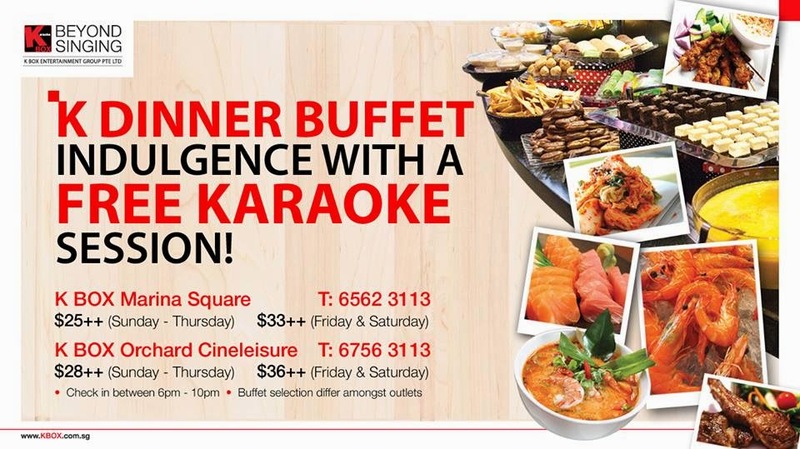 Most of them like K BOX which is Singapore's largest family karaoke chain (nine outlets) that has been around since 2002. It's safe, clean and family-friendly. Trust me, you don't want to step into the wrong kind of karaoke joint, if you know what I mean! K BOX also has a dinner buffet you can indulge in, at two locations. I love gadgets that are multi-purpose, space saving and aesthetically pleasing. Meet the JBL Horizon, which combines five functions in one! 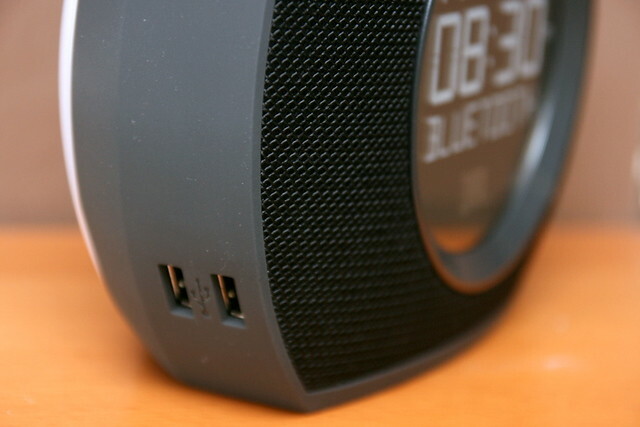 It's a Bluetooth speaker for your digital devices, an FM radio, an alarm clock, a high-speed USB charger, and a beautiful ambient light, all rolled into one. JBL (https://www.facebook.com/JBLSingapore) kindly gave me a set to review, and another set to give away on the blog! More on that later. Take a look at the features in this video. It's so easy to use. Nice that they have the giant snooze button (which also turns on the light). 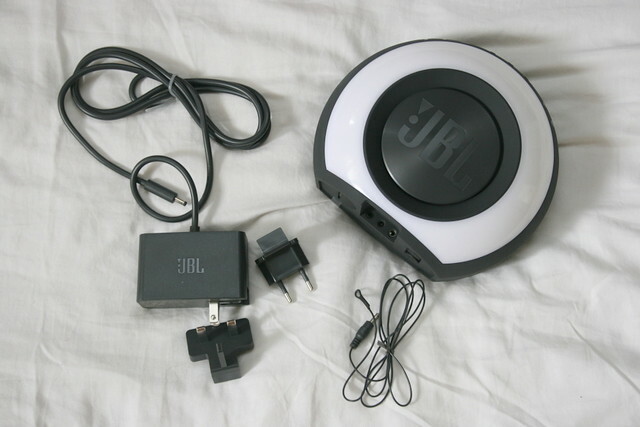 Here's what comes in the box: The JBL Horizon comes with various plugs for its power adaptor, so you can even take it along with you to some countries if you so wish. It's quite portable but does weigh about 890g. There's an antenna wire too, but I hardly needed it to get good reception when I placed it near the window. I really like it in my room. The cute round speaker fills the room beautifully with lush bass. The clock display is large and readable on the cool reflective surface. It also gives off just the right amount of light as a night light. Five preset stations may seem limited, but it's easy to jump around. And really, I'm mostly at the classical music station or the foreign language one. There are two alarm settings, and the digital alarm tones are such a pleasant sound and a gentle way to wake up. You could also choose to wake up to your favourite song streamed via Bluetooth, or the radio. If you are like me, you probably cuddle up in bed with your smartphone or tablet (unless you are lucky enough to have Hugh Jackman or Sofia Vergara next to you). 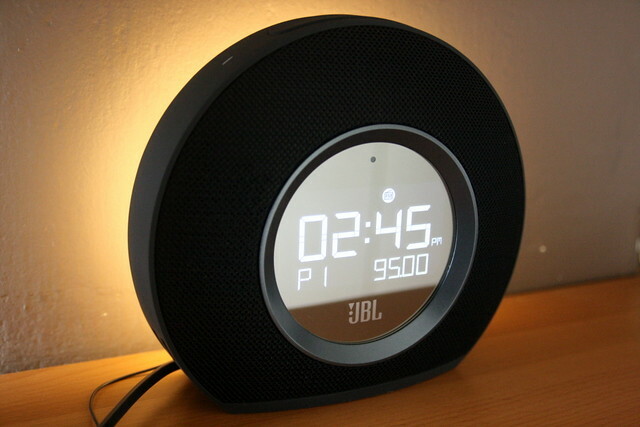 So the dual USB ports on the JBL clock radio make it a really handy bedside charger. With USB charging, you can stream music, podcasts, audiobooks or your favourite playlists from your devices without worrying about draining battery life. They've really thought of everything. This is easily a device you will look forward to using every day. Might make a good gift too - add music and light into someone's life! 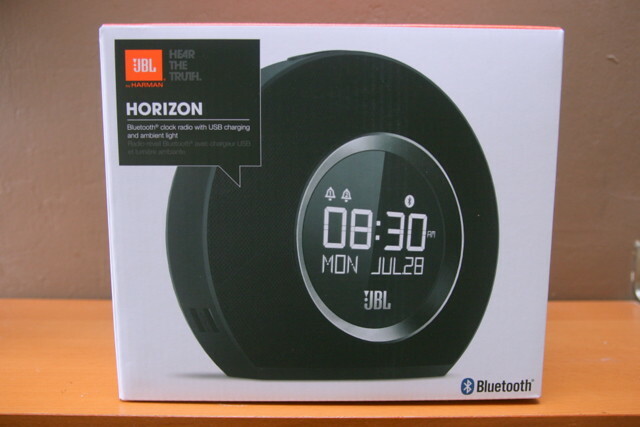 You can get the JBL Horizon (RRP: S$159) at all Harvey Norman stores, and Newstead Technologies partners which include DigitalStyle stores, Nubox and Lazada.sg. Answers should be sent to jblsingapore@gmail.com with a) name, b) contact number and c) answer. You have until 30 March 2015. JBL will pick a winner and results will be announced first week of April. Easy, right? Please share with your friends too! UPDATE 2 April 2015: The winner as chosen by JBL is Mr Jason Tan Run Yuen! Congratulations! Many thanks to JBL for sponsoring the units. It's February and for many, it's the month of love. Yes, Valentine's Day is coming. 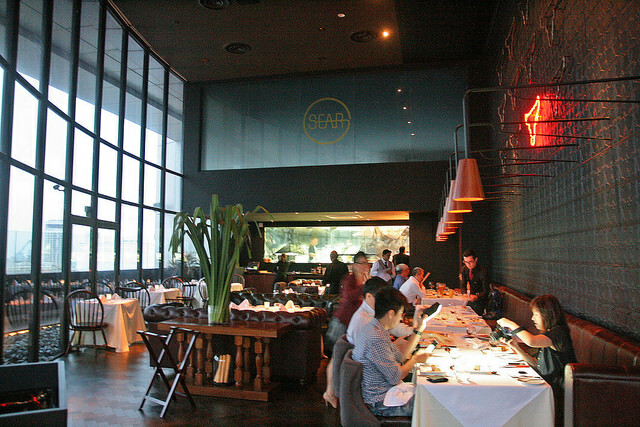 If you're looking for a place to impress your date, SEAR is one of the best romantic restaurants to bet on. For starters, it's perched loftily on the 45th floor of the Singapore Land Tower with awesome city skyline views. And it has awesome steak. Men don't want flowers or candy. They want steak. For Valentine's Day, executive chef Claudio Sandri and his team have crafted a pretty thoughtful menu - it's got oysters, lobster, premium beef, scallops and luxurious chocolate. The three courses showcase the kitchen's skills with the PIRA charcoal oven, which sears everything beautifully and gifts that lusciously smoky aroma. I've always liked Chef Sandri's cooking, so I'm glad to see him helming the kitchen here too.